We have teamed up with Sherri Rabinovitch from The People Guru to bring you this amazing workshop. All the things you ever wanted to know about work after baby & beyond but were afraid to ask. Do you want to go back to work after baby? Deciding what steps to take now that the responsibilities have changed at home, what to do? Do you want to continue working? What makes sense for the family & can you afford to not go back? Sherri had been a HR Practitioner for more than 14 years in a Corporate setting and after having children, she decided to take her skills and experience into private practice in September 2014 and created The People Guru™. Sherri has always been passionate about helping others create their own destiny and fulfill their professional goals. Therefore, she excels at empowering people to find their lifes’ purpose, through asking the hard questions and her unique approach to Talent Management, and she can find ways to optimize the skills you already have or don’t even realize you possess. Sherri has had numerous years experience dealing with corporate structure, staffing, Human Resource Management and leadership training. Sherri can also strengthen your business by complimenting your existing HR department with her unique perspective or develop your HR to ensure you are optimizing your time in the areas that matter most to you & your business. We have an amazing workshop coming up with clinical social worker Jillian Rudnitsky called Becoming Unstuck: How to cope with anxiety in adulthood. Anxiety in children and adolescents is an extremely hot topic right now. So hot in fact that we often forget to take care of ourselves and prioritize our own well-being. This workshop will focus on how anxiety manifests itself in adults and how to develop your own level of resiliency as a parent, as a professional and, most importantly, as a person. The goal is to give you strategies that will help you regain control over your life so that you can tolerate situations that are currently a source of your discomfort. One of the biggest sources of this discomfort is the idea of transition and change. Whether it is something planned or something that takes you by surprise, change can be extremely anxiety provoking. Together we are going to explore the elements of change and how to move with them instead of becoming stuck. With so much focus placed on our children, adult anxiety is often overlooked and our relationships can suffer as a result. Join me in learning how to take care of yourself in order to better take care of those around you. Jillian Rudnitsky has her M.S.W. from McGill University and works as a Clinical Social Worker with children and adolescents aged 3 to 17 in a high school as well as in a private practice. She helps support children, teens, and their parents through the personal challenges that they are experiencing and assists them in developing skills that will help them build and maintain healthy relationships. The primary focus of her work has been on appropriate social emotional development and healthy stress coping. Jillian’s mission is to nourish clients’ individual strengths in order to foster social and emotional growth and exploration. Please join us for an evening with Jillian Rudnitsky a Clinical Social Worker . She works with children aged 3 to 12 in a daycare and an elementary school as well as in a private practice. She helps support children and their parents through the personal challenges that they are experiencing and assists kids in developing skills that will help them build and maintain healthy relationships. This session will provide you with an understanding of what anxiety is and what it looks like so that you can detect when your child’s normal stress may be transitioning into anxiety. More importantly, we’ll spend time exploring concrete strategies that can be used to help ease that anxiety and easy to implement routines that can improve your child’s overall mental well-being. Geared towards school aged kids 5-17ish. The workshop will be held on Wednesday October 19th. It will run from7:00pm to 9:00pm. The cost of the workshop is $35 per person. At the end of the session, there will be a Q&A period for any specific questions that you may have on this subject. The workshop will be held in Pierrefonds at Provigo Le Marche Pierrefonds, please email us and we will send you the exact address. For more information on the workshop, please click here to see the event listed on our Facebook page. 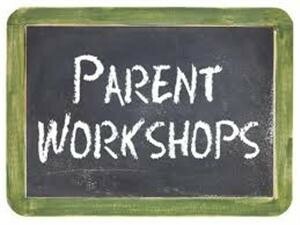 Please email us today at info@westislandmommies.com to register your spot, space is limited! The workshop will be held on Tuesday April 26. It will run from7:00pm to 9:00pm. This session will provide you with an understanding of what anxiety is and what it looks like so that you can detect when your child’s normal stress may be transitioning into anxiety. More importantly, we’ll spend time exploring concrete strategies that can be used to help ease that anxiety and easy to implement routines that can improve your child’s overall mental well-being. The cost of the workshop is $35 per person. At the end of the session, there will be a Q&A period for any specific questions that you may have on this subject. The workshop will be held in Pointe Claire at Studio BBG, please email us and we will send you the exact address.